Hopefully by now you’ve managed to keep up any New Year’s resolutions and are living the most well balanced, healthy, fun and interesting life you’ve ever lived. Whether you vowed to drink more green smoothies or hit the gym daily, get off your mobile device more often or wear red lipstick, I sincerely hope it’s working out for you. And these cookies have absolutely nothing to do with that. It’s probably a bit premature to be prepping for Valentine’s Day and Christmas baking is looong over, so I really have no valid excuse to be making cookies, at all. Except to derail all of your good intentions, of course. These don’t qualify as health food (not a single vegetable here), they won’t get you out of the house or off Pinterest, and they’ll certainly mess up your lipstick. Since we’ve gotten all that out, let’s move on to the cookies. First there’s the floral Earl Grey tea infused brown butter (yes, that’s a real thing), orange zest and vanilla. Then powdered sugar and a mix of flours to provide structure; I chose a fifty-fifty mix of all-purpose and rye flour, because that’s what badasses do. Piping the cookies into perfectly round shapes is the hardest part, but if ovals or squares or blobs are more your style, that’s cool too. 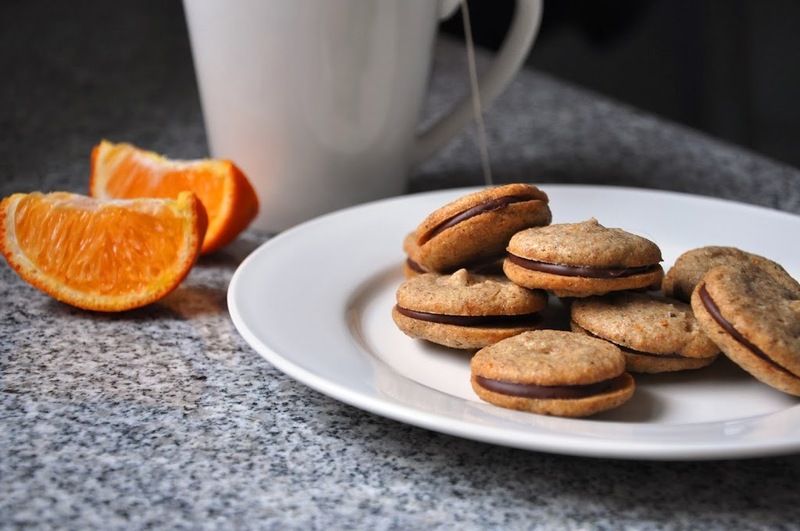 Once baked to a golden crisp, the cookies are sandwiched with a thick layer of melted semisweet chocolate. Just because. If you’ve got raspberry jam or Seville marmalade, those would be fabulous. And if these cookies are way too fancy-schmancy for your unsophisticated palate, skip the tea-infused butter step and use regular unsalted butter, use all-purpose flour and dip or drizzle the cookies with chocolate for a perfectly acceptable (and delicious) variation. It’s your life, live it up! 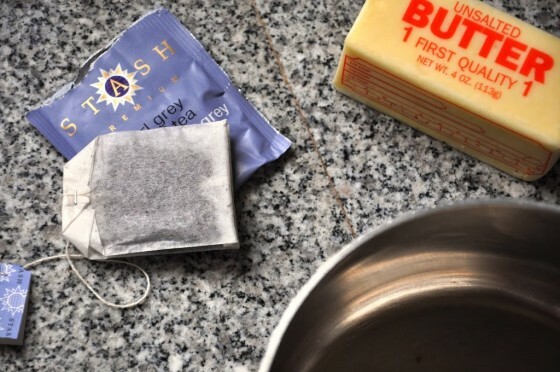 Melt the butter in a small saucepot over medium heat. Cook the butter for several minutes, swirling it frequently. 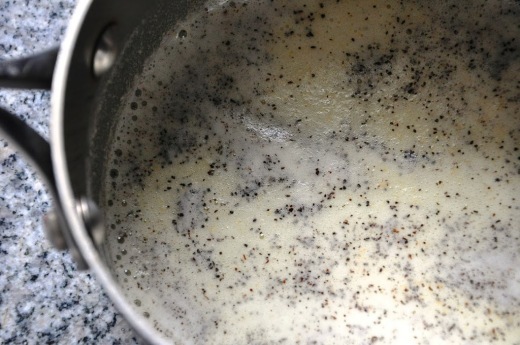 Watch it closely as it starts to brown; look for little caramel brown flecks of milk solids in the bottom of the pan and a nutty aroma. Promptly remove the pan from the heat and cut open the tea bag, dumping the tea into the butter. Pour into a bowl and allow to sit for about an hour. Once you’re ready to make the cookies, preheat the oven to 300°F and line two sheet pans with silicone-coated baking mats or parchment paper. 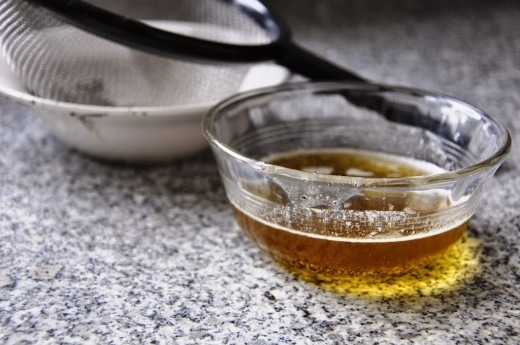 If the room is cool and the butter has solidified, pop it in the microwave for a couple seconds to liquefy it, then strain it through a fine mesh strainer, pushing hard to squeeze out all the butter from the leaves. If a few speckles of tea come through, that’s totally fine. 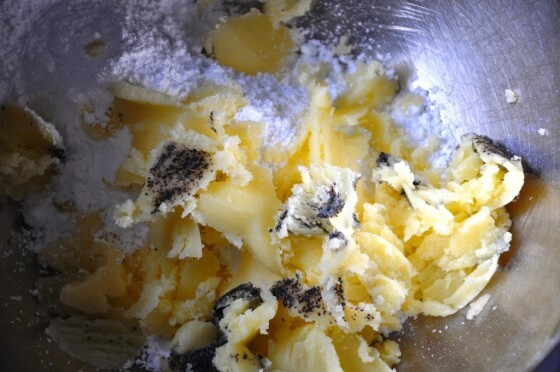 Cream the butter, powder sugar, orange zest and vanilla in a large bowl (or standing mixer) for 3 minutes then scrape down the bowl. 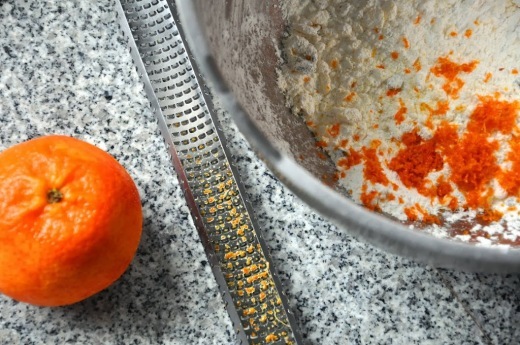 Add the egg whites and mix for one minute until thoroughly combined. Sift the flour(s), baking powder and salt together, then dump onto the butter mixture and mix until well combined, making sure to scrape down the bottom of the bowl. 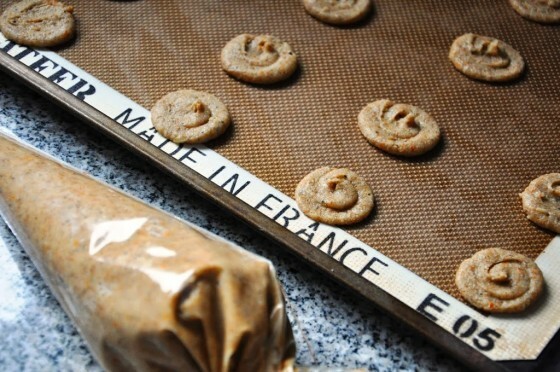 Transfer the batter to a pastry bag and pipe into 1-inch round cookies onto the sheet pans. Wet the tips of your fingers and smooth out any pointy edges of batter, if you care about that sort of thing. Bake the cookies for 20 minutes, rotating the pans halfway through baking. 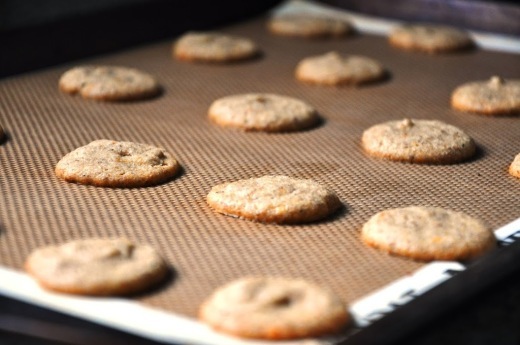 When the edges of the cookies are light brown, remove the pans to wire racks to cool completely. Melt the chocolate in a microwave safe bowl for 1-2 minutes, stirring every 30 seconds until smooth. Continue to microwave in 15 second intervals if necessary (so as not to burn the chocolate!). 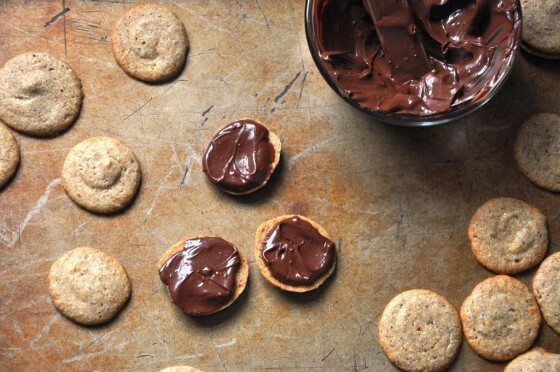 With an offset spatula, coat the underside of a cookie with chocolate, then top with another cookie, pressing together lightly; repeat with the remaining cookies. Allow the chocolate to harden, about 30 minutes. Cookies will keep for 1 week in an airtight container. Oh my gosh, these look amazing. I’m going to have to try this one! So I made these yesterday and they were the BOMB! Still have some leftover, so so good! Awesome! So glad they turned out. Thanks for the comment love!